Whether you need a residential or commercial cleaning service then Clean and Green is the right choice. They have a team of the most talented maids and janitors that have all been carefully trained and background checked. This means that you will be able to hire their home or office cleaning service without ever having to worry about trusting these professionals coming to your property. 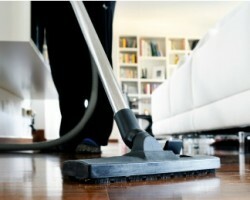 Every inch will be spotless and you will never have to think about cleaning again. For those homes that deserve more than what the average maid service in Portland, OR can provide, there is no better option than Sparkling Palaces. The city is full of majestic turn-of-the-century homes that need extra care and attention. Amy Boggs, the founder of Sparkling Palaces, saw that there was a lack of specialized Portland cleaning services that met the standard necessary to attend to all of the architectural details of these older houses. Having access to the best local house cleaning service in Oregon your home will always be spotless. As soon as you receive your free estimate from Maid Right you will be amazed at how cheap some of the most professional cleaning services in Portland can be. Not only is this service highly affordable but they also focus on being the best in the city. They have achieved this by always putting their clients first and by using their own specialized cleaning methods. After the first visit of this team you will be amazed at just how spotless your home or place of business is. Maid To Shine Cleaning is the only option in Portland for a service that focuses on getting the best results by only using eco-friendly solutions. This local house cleaning service even provides clients with a checklist of jobs that they can carry out so you will be able to completely tailor their service to fit your exact need. Elizabeth Buchanan, the owner of Maid To Shine Cleaning, founded this service so clients could get their home looking like a showroom before they put it on the market. Now this service is available for you. Finding a housekeeper in Portland that you can fully trust and one that will get perfect results can seem like an impossible task. Toria’s Housekeeping is a collection of maids that have all been carefully selected by this service for their professionalism and reliability. Reviews of this service always mention that for the low prices that they charge, Toria’s Housekeeping delivers the most incredible results. 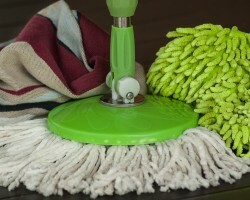 These maids can help whether you need regular house cleaning or you simply need to get the space clean before you move.